As little as five years ago when we advised a patient to remove gluten from their diet most people still had not even heard of it. Testing was poor (and still is). The medical community criticized us and even extremely sick patients were difficult to convince of the need to eliminate this highly inflammatory protein from their diets. Today there are some in the healthcare community who still think it is a fad. It’s not. Even Dr. Oz is all over it now, so it must be a real problem. And it is. Yet there is still much much confusion about the gluten issue. 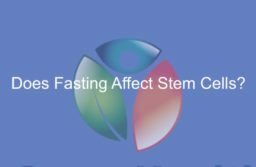 I thought it would be fun, and beneficial to share some of the clinical pearls we utilize in our recommendations on short term or permanent gluten removal from a patient’s diet. Gluten is the main protein found in wheat and wheat like grains including spelt, rye, barley, triticale, and some oats. Gluten is the most common food allergen for people with Hashimoto’s thyroid, an autoimmune disorder, because the molecular structure of gluten so closely resembles that of the thyroid gland and may be gets attacked due to mistaken identities. The word gluten is actually a misnomer, as it is the gliaden portion of the gluten that causes immune reactions. If you get completely off gluten and feel improvement in “stomach”, brain, or join and muscle symptoms know that it is only the tip of the iceberg indicating other probable food allergies (particularly other grains), cross sensitivities, and almost certainly the dreaded “Leaky Gut”. You can be gluten sensitive and not have celiac disease. 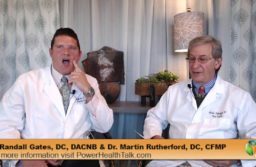 Dr. Kenneth Fine, MD a gluten researcher, estimates up to 81% of Americans may have a genetic predisposition to Gluten. Celiac disease affects up to one in 100 Americans although only 1 of 8 of those affected are estimated to be aware of it, as symptoms are often silent. WOW! Gluten intolerance however affects about 35% of Americans based on Fine’s research, with that number jumping to more than 50% if they are high risk or have symptoms. Of Gluten intolerance/Celiac genes are triggered gluten must be avoided through life 24/7. There are many tests for gluten intolerance and Celiac and none of them are 100% specific or 100% sensitive. Genetic testing for the HLADQ genes is the best lab test, but still not perfect. Best test that we have found bar none is doing an elimination/provocation diet. This is what we use in our office; it is accurate, and cost effective. Biopsys that are negative do not mean that you don’t have gluten intolerances or Celiac. They are not the gold standard diagnostic tool they are presented to be. If intolerant to gluten and you have gut, skin, respiratory tract, joint, or brain issues due to it, eating “just a little bit” is not ok since even a small amount will cause irreversible damage to the tissue being attacked, even if the exposure does not produce symptoms. Exposure to gluten just one time can effect and damage your tissues for 4 days, 4 weeks, or 4 months depending on your level of sensitivity. So no “gluten partying” on Saturday night. Keep it simple. If you eat gluten and you notice any of your symptoms seem worse – stop eating it no matter what the tests say. The studies that we have seen have shown that the gut has not been repaired after being off of gluten for a year. We have not seen any studies that show otherwise after 3-5 years. 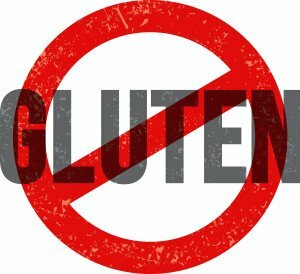 In our opinion if you have been confirmed celiac we would suggest planning on staying off of gluten for life to ensure no issues arise.